Being the only parts on the whole bike I didn`t strip I did that with the brakes, too. Even though rather simple I wouldn`t recommend this to anyone who isn`t sure about what he`s doing. It`s unnecessary in most cases, too! 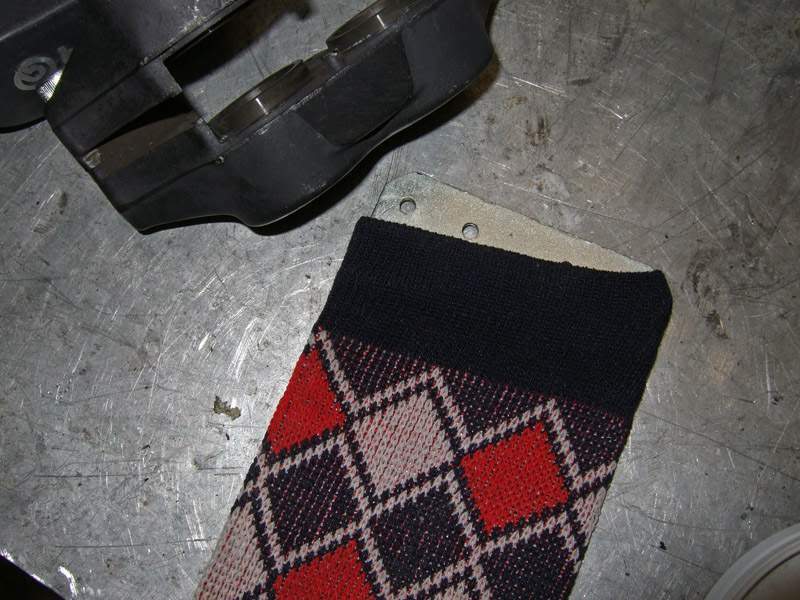 To get the pistons out I used a thin steel plate with an old sock over it. A piece of wood will be fine, too. 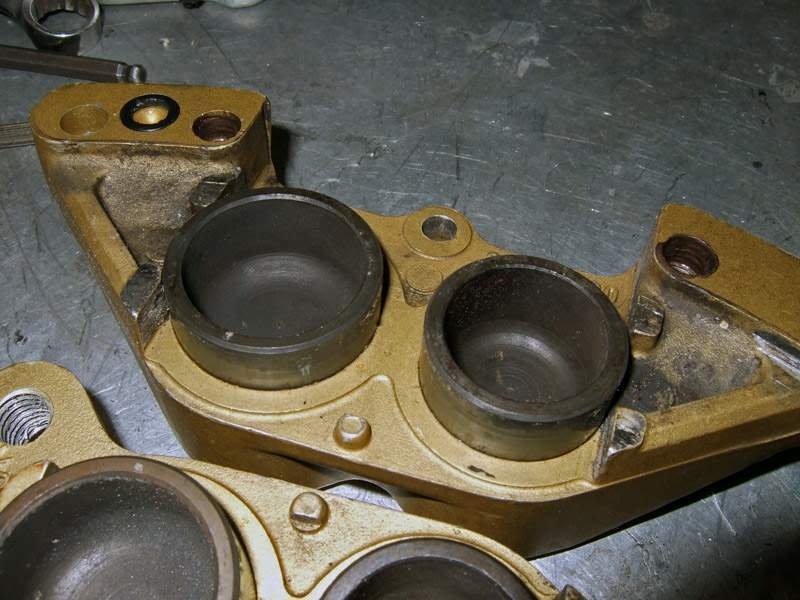 The thinner the better as the more the pistons will come out the easier it will be to remove them. 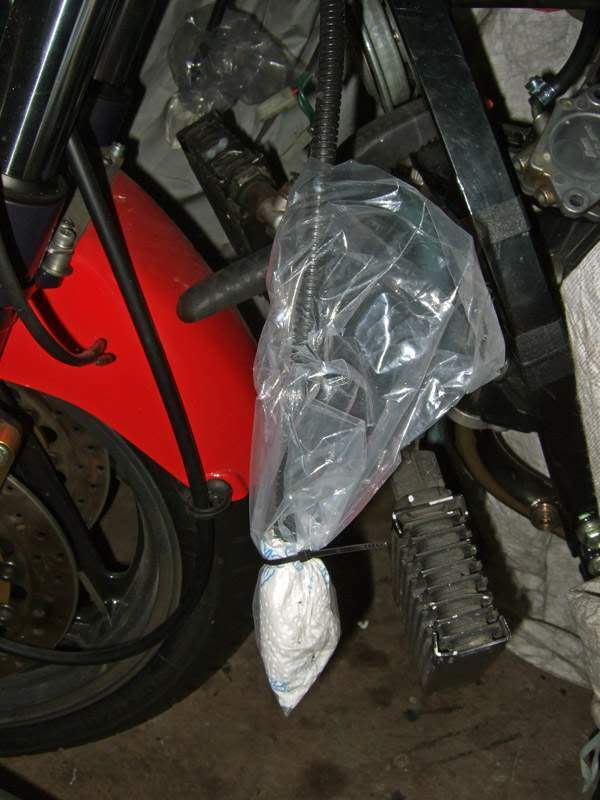 Better wrap a rag around the nozzle to prevent brake fluid to be sprayed all around. 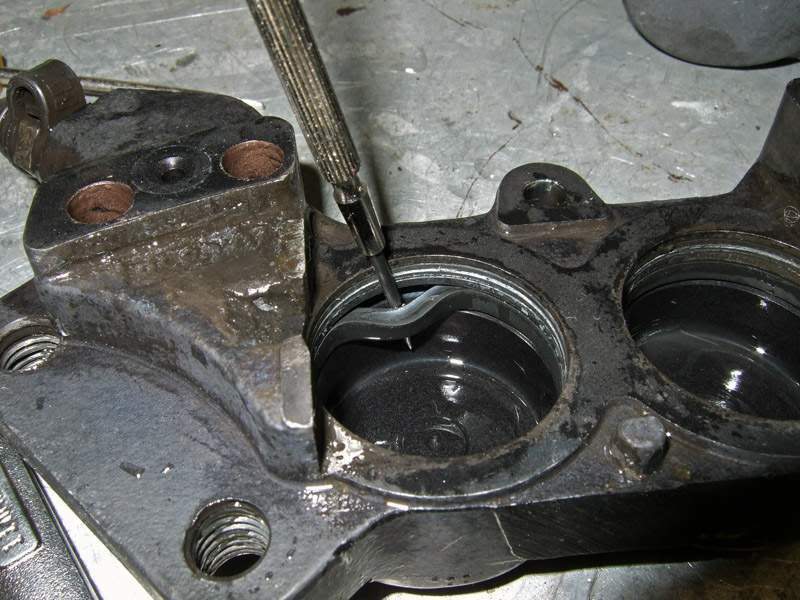 If a piston doesn`t move out enough try spraying some WD40 in the gap, wait and press it back in; by hand or with a screw clamp. 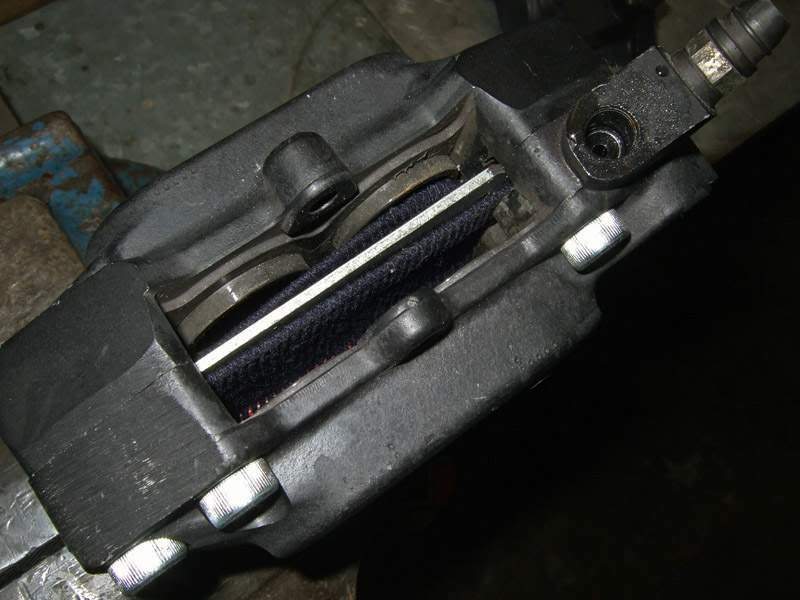 (In case of a screw clamp put some rag under not to scratch the housing). 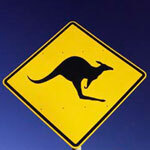 Try again, if it doesn`t move more than before try again and push it in and out until it comes out. 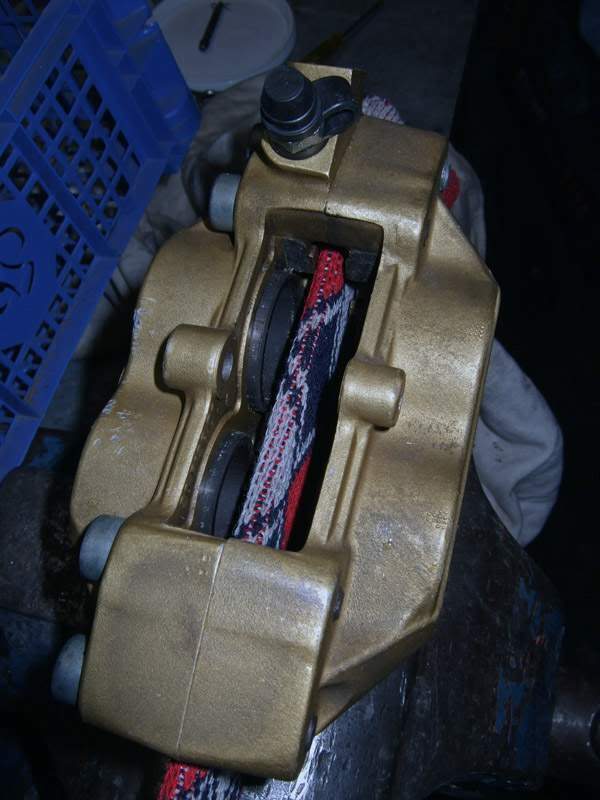 If the calipers are fine such a problem won`t occur. 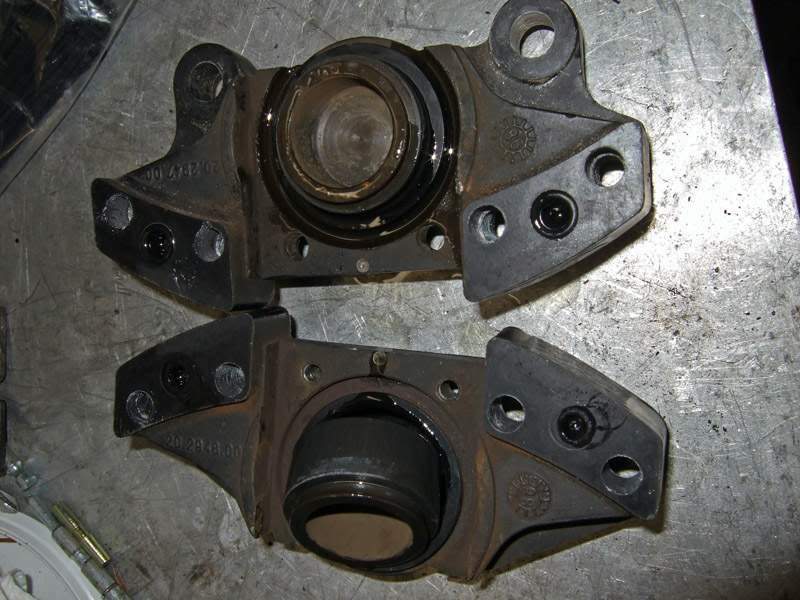 The four bolts removed, the calipers split, o-ring saved. 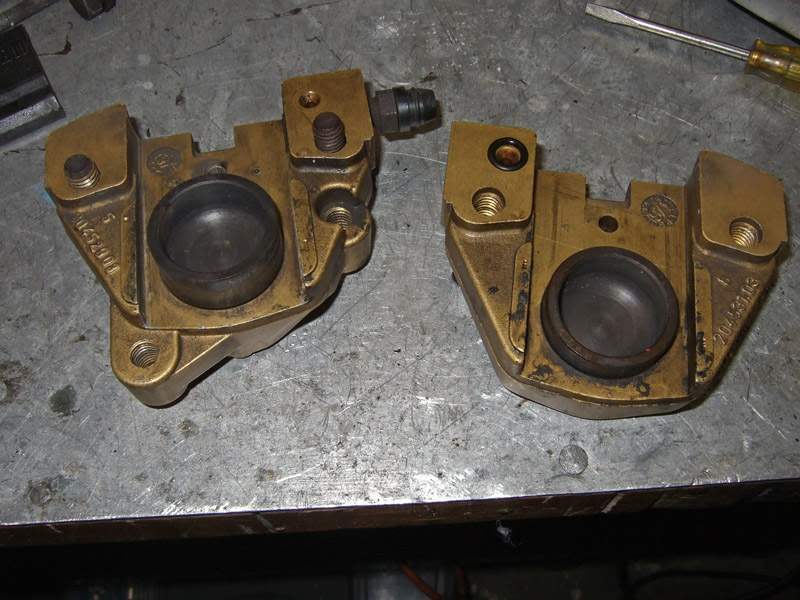 The pistons can be pulled out by hand with some wiggleing. 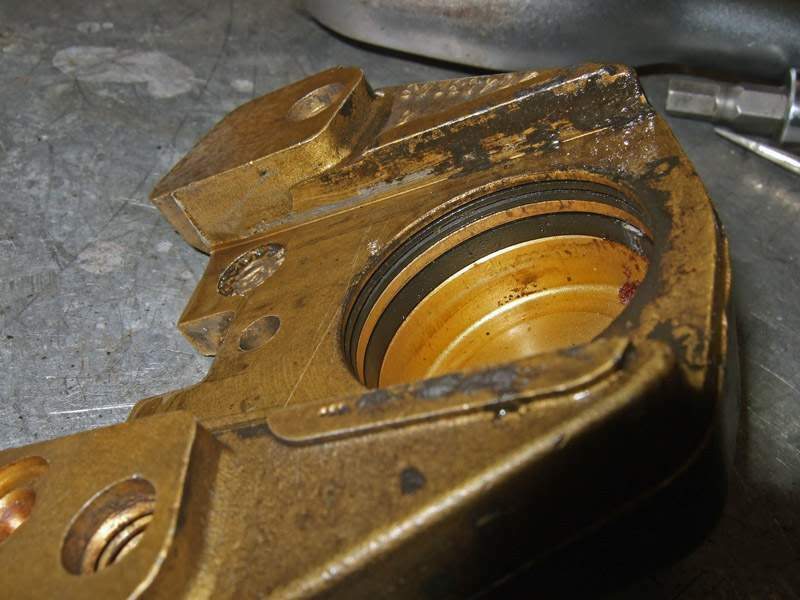 Do not use pliers as chances are very high you will damage the piston. 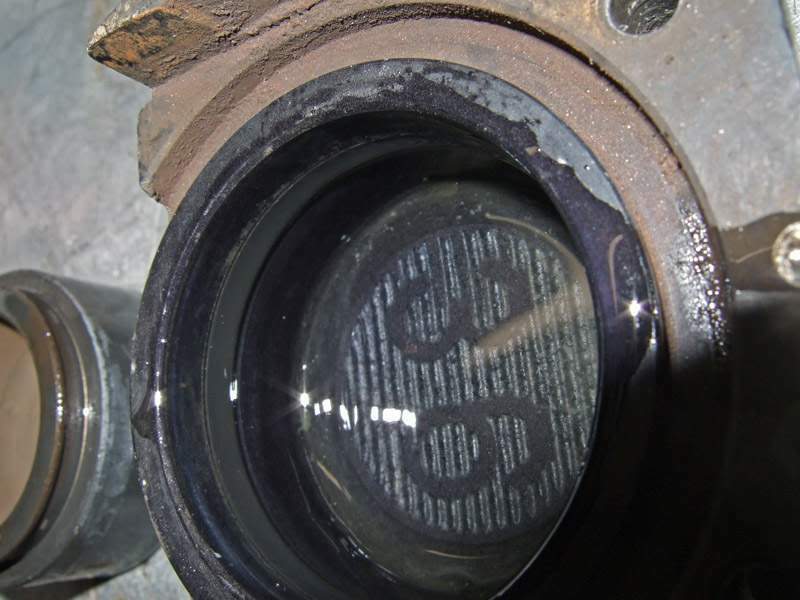 Each cylinder has two seals. A larger one on the inside and a double lip one as dust seal. 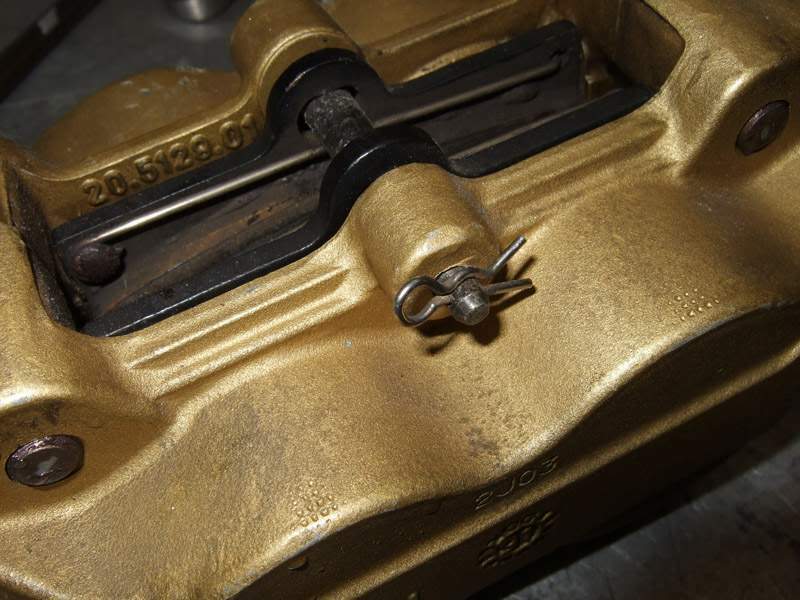 Use a needle or a very thin screwdriver in a flat angle to get in the seal groove and lever it out carefully. 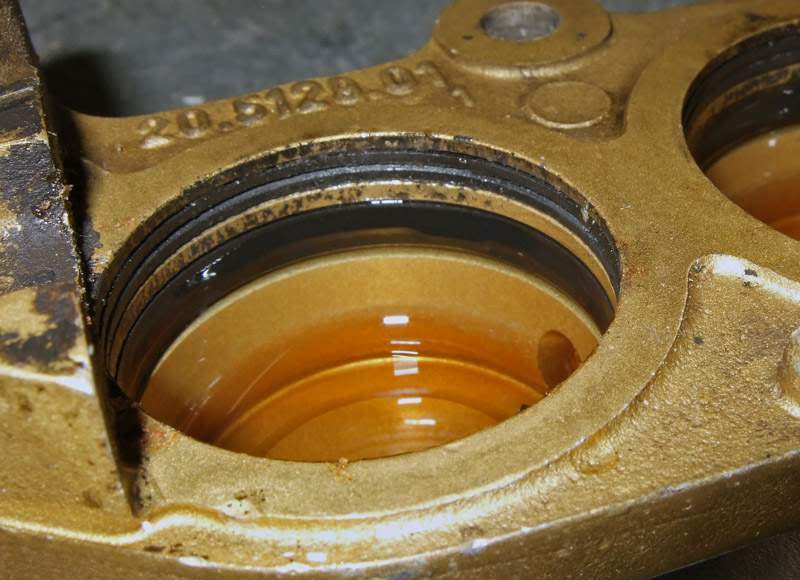 Don`t pinch it if you don`t replace it and don`t slip and scratch the cylinder wall! 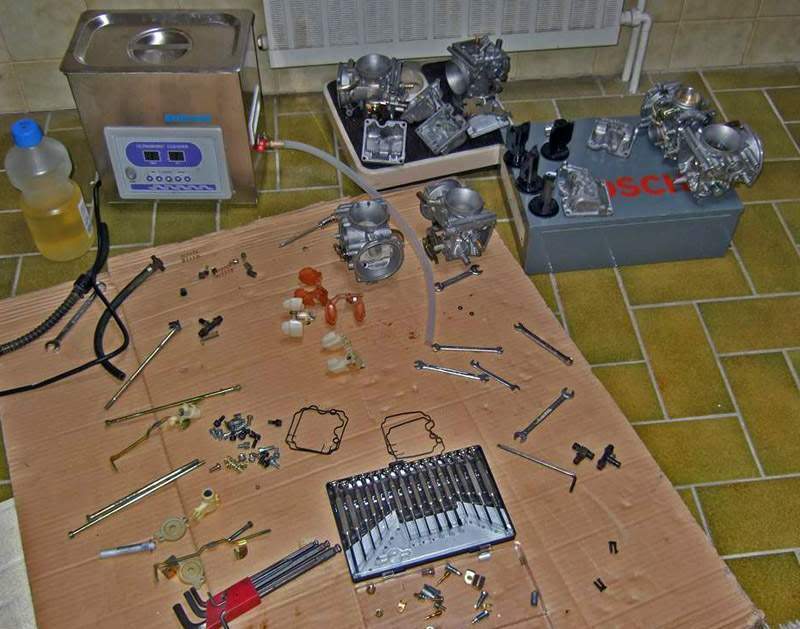 If reusing all parts store them in brake fluid and don`t let them dry as you may have problems when assembling. 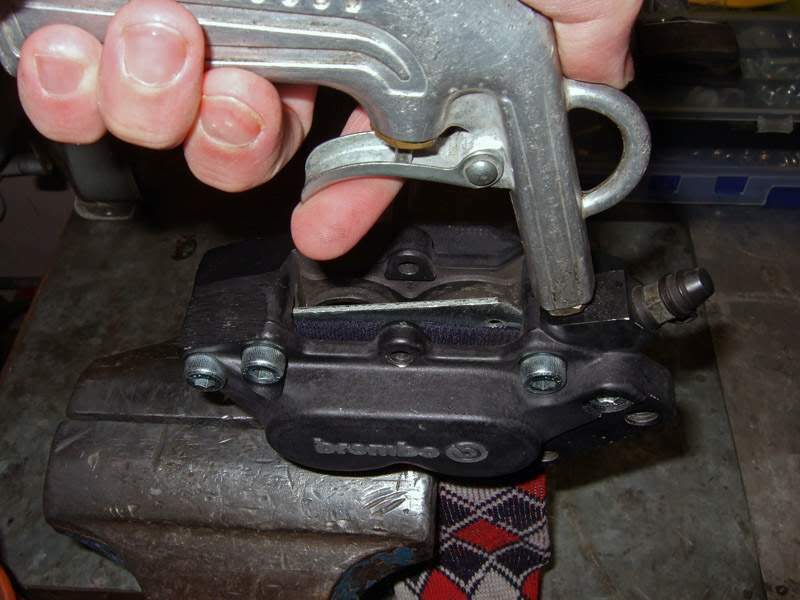 The newer type Brembos. 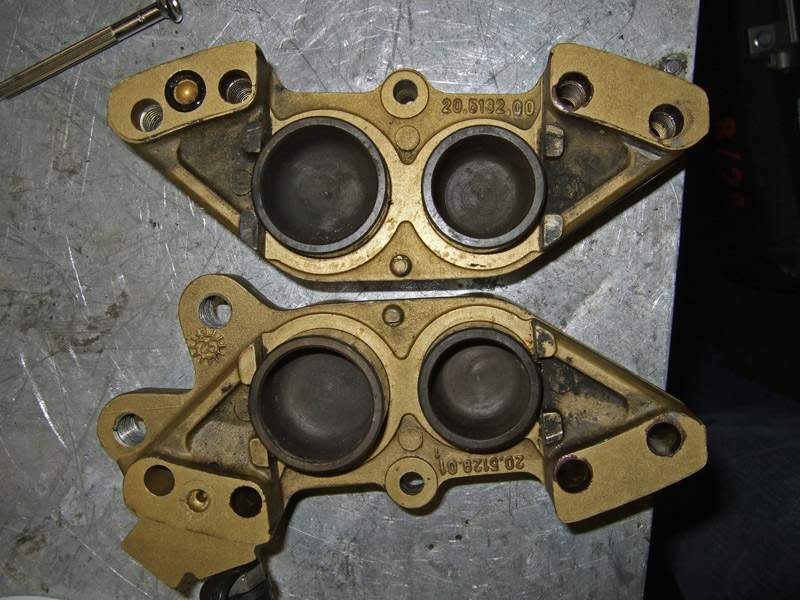 Basically the same but with different sized pistons for better brake response. 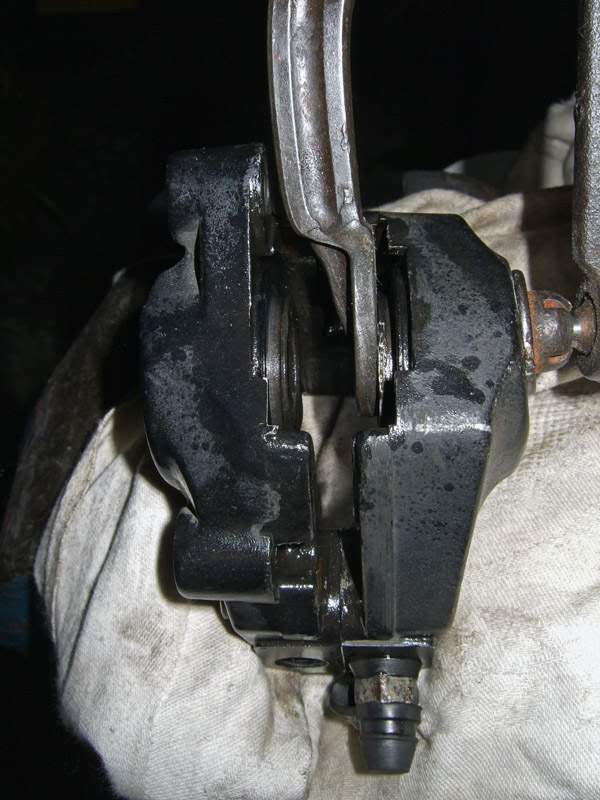 After the calipers were removed and the brake fluid was drained, the brake lines were secured to prevent any fluid getting on the rims or fender. 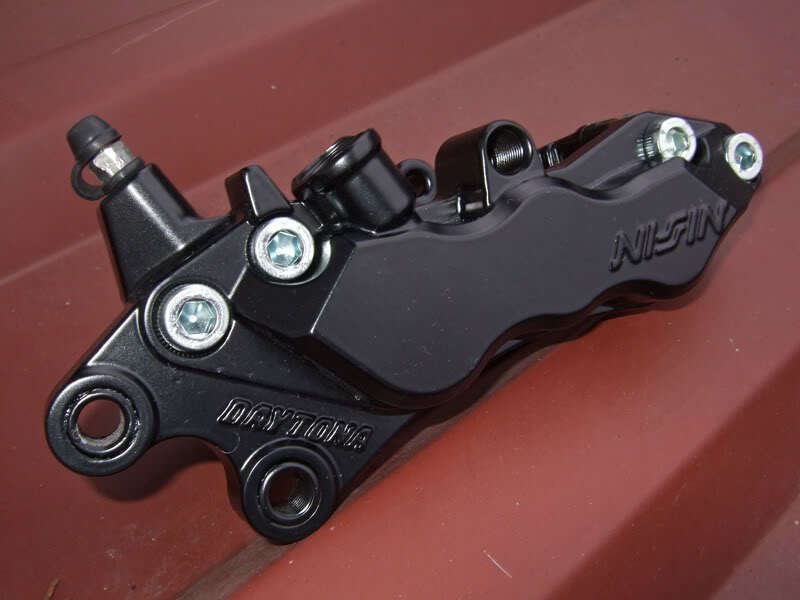 A rear caliper from another bike. 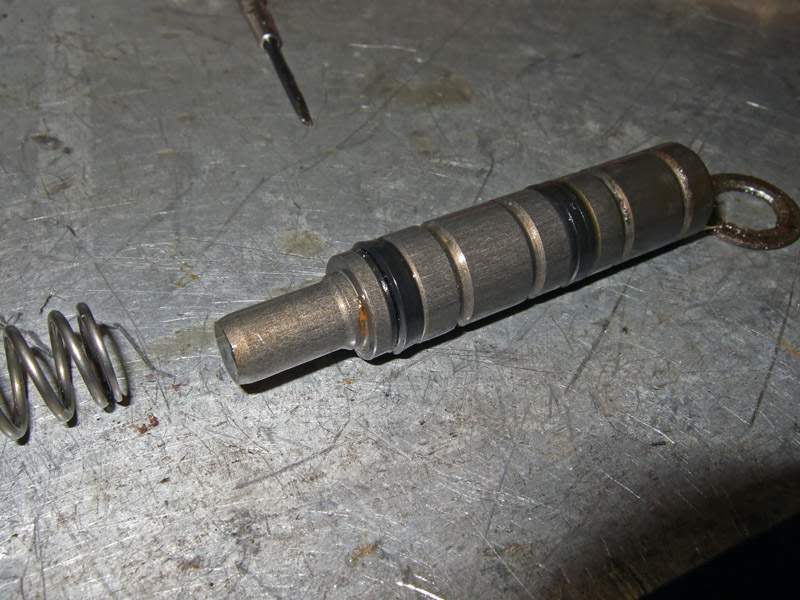 Internals always the same; two seals per cylinder and an o-ring. 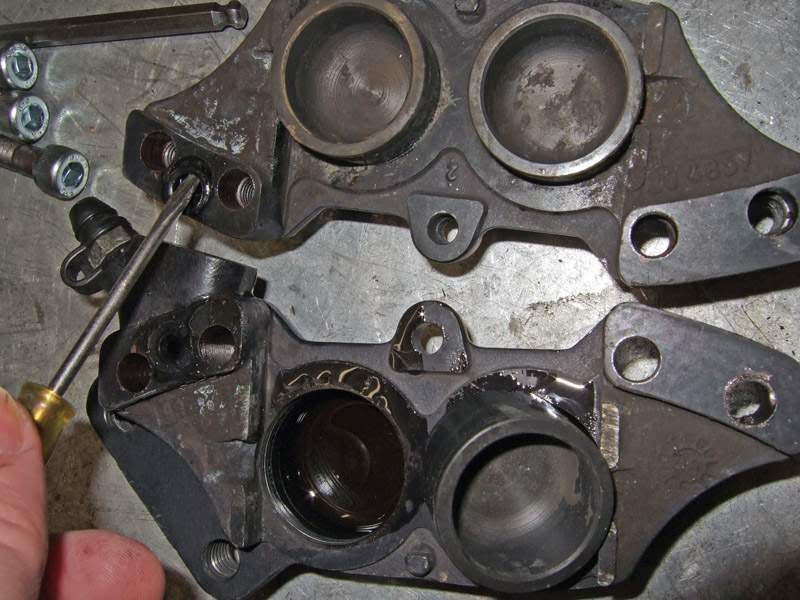 If one pistons is seized the other one will pop out so you can secure this one with a screw clamp and try again. 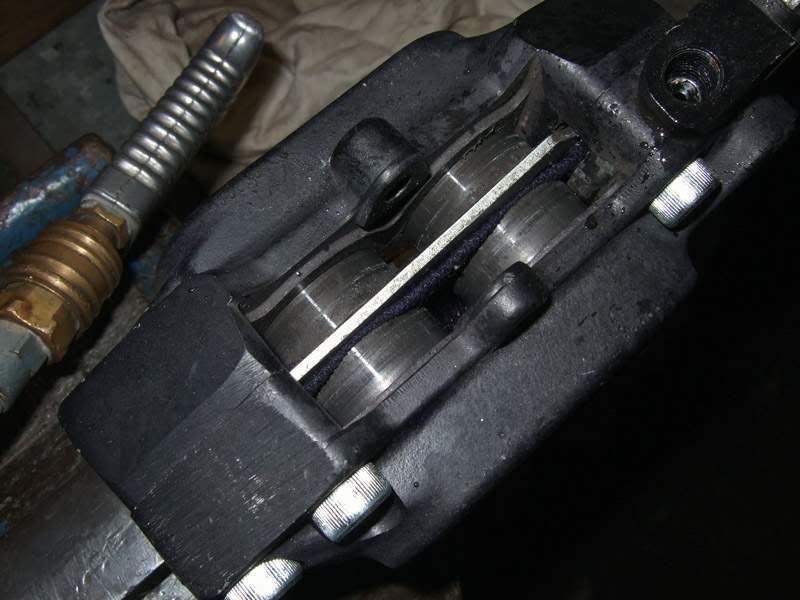 A thin piece of wood should be put inbetween so the piston won`t hit the screw clamp in case it does finally move. This one didn`t. 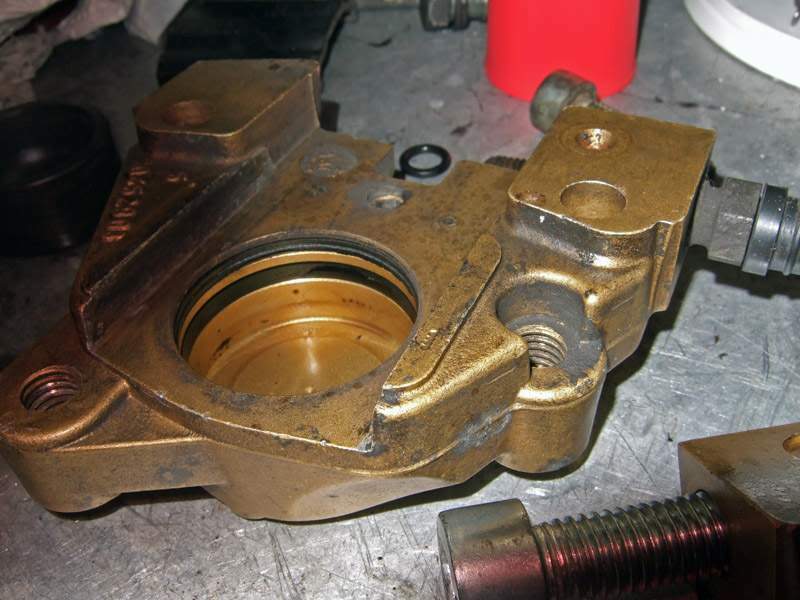 The only way to get it out is to attach it to a brake or clutch pump and try it hydraulically as this`ll create a much higher pressure. 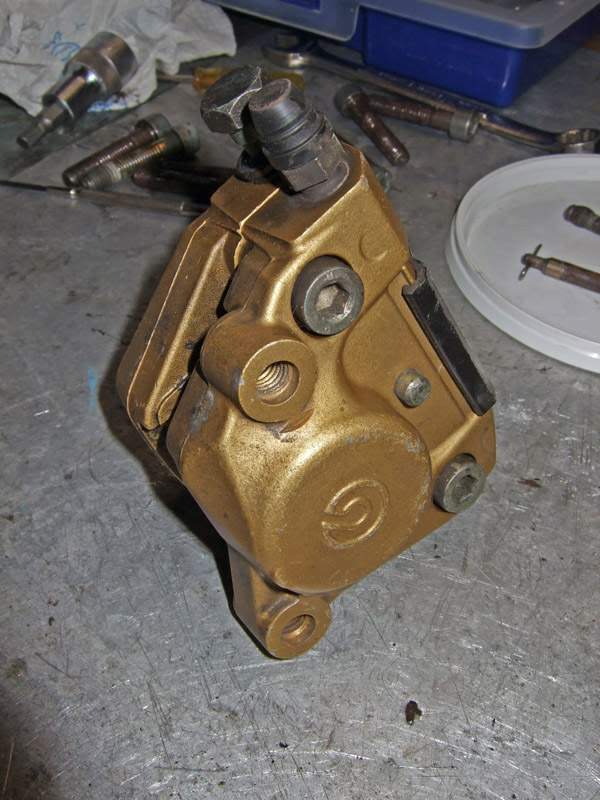 The rear brake pump. 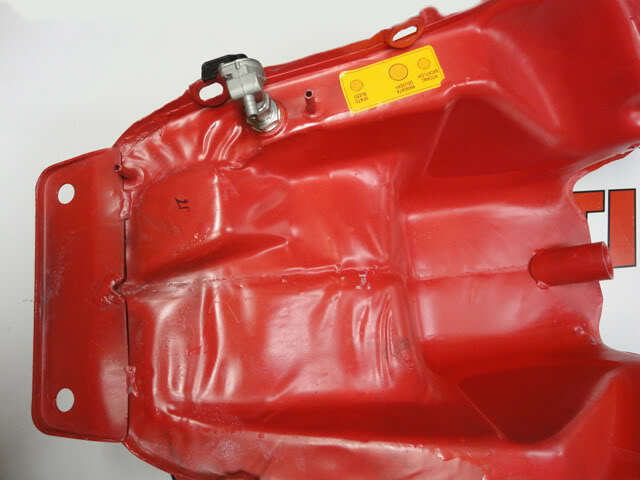 Don`t remove the plastic ellbow if it isn`t really necessary, you`ll just mess up the paint and mark the pumps surface. 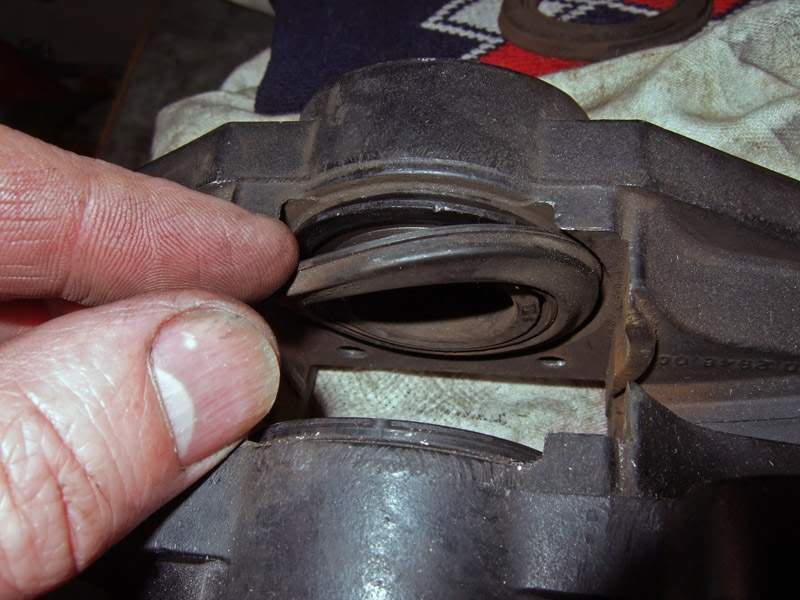 Remove the rubber boot and the circlip. 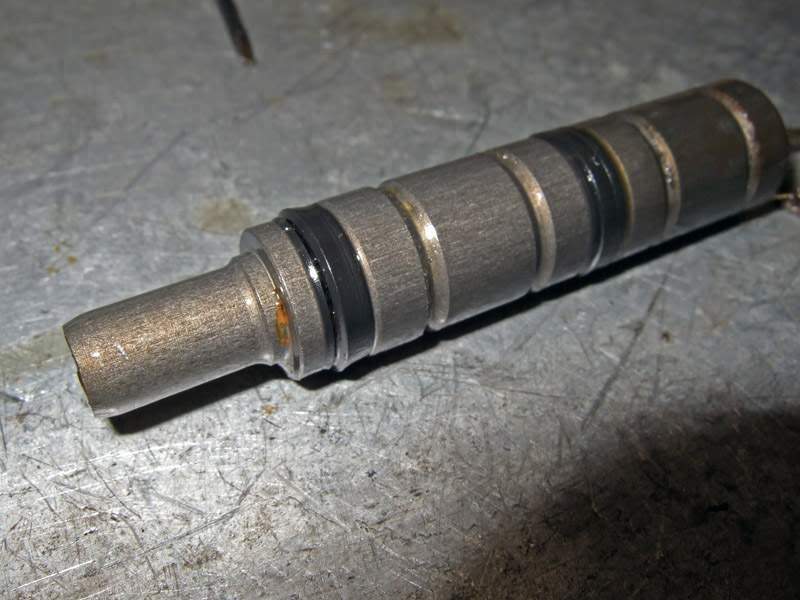 If you don`t have circlip pliers use a thin screwdriver put it in the circlip groove, in the gap between its two ends and try to lift one end out of the groove. 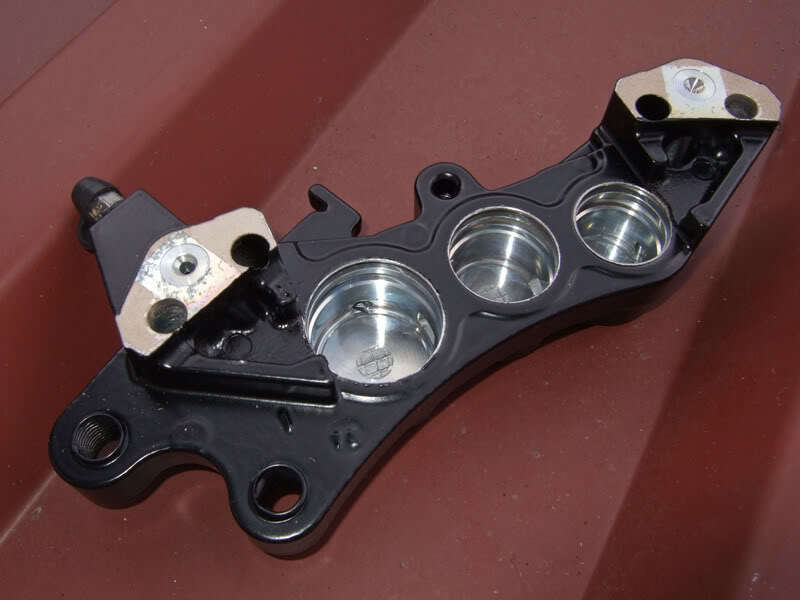 If that works use some flat pliers to pull this end towards the other and it will come out. 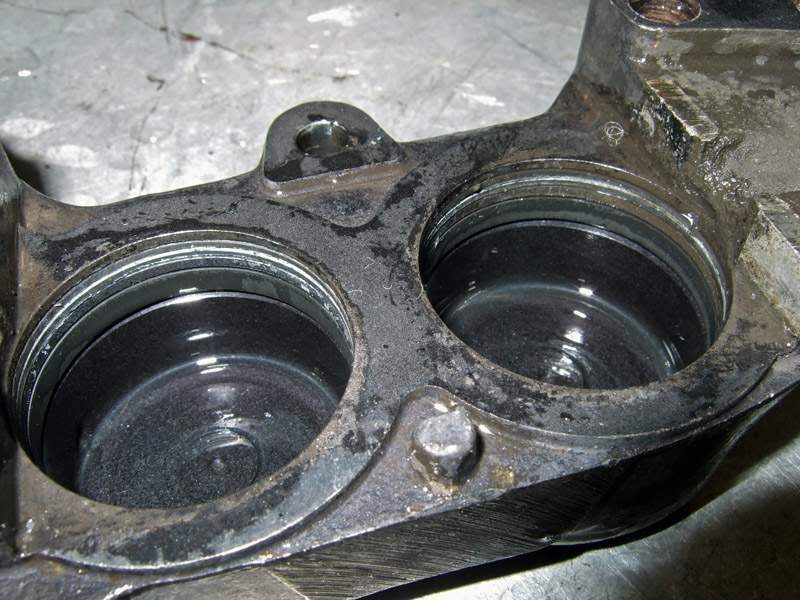 If the piston doesn`t come out it`s because the washer has rusted and is sticking to the housing. 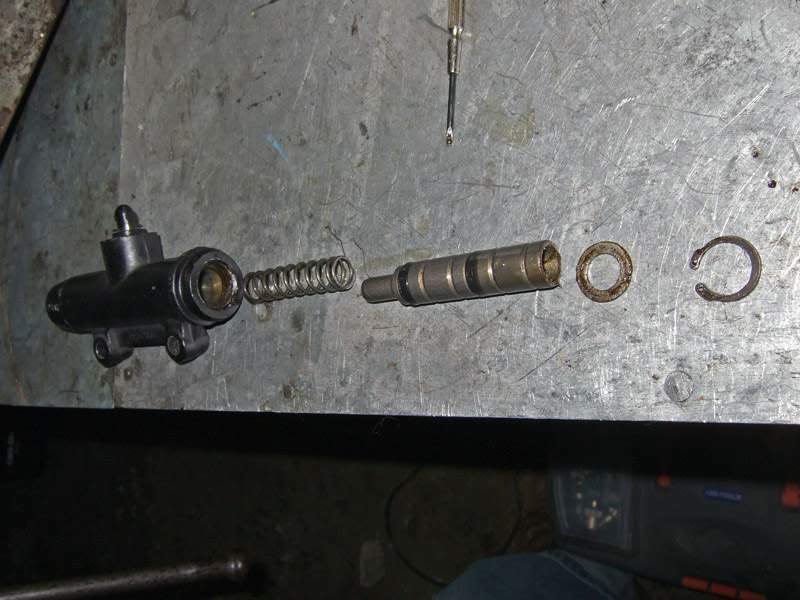 Do NOT try to hammer anything through the opposite side to push the piston out as there`s only a very tiny hole ! 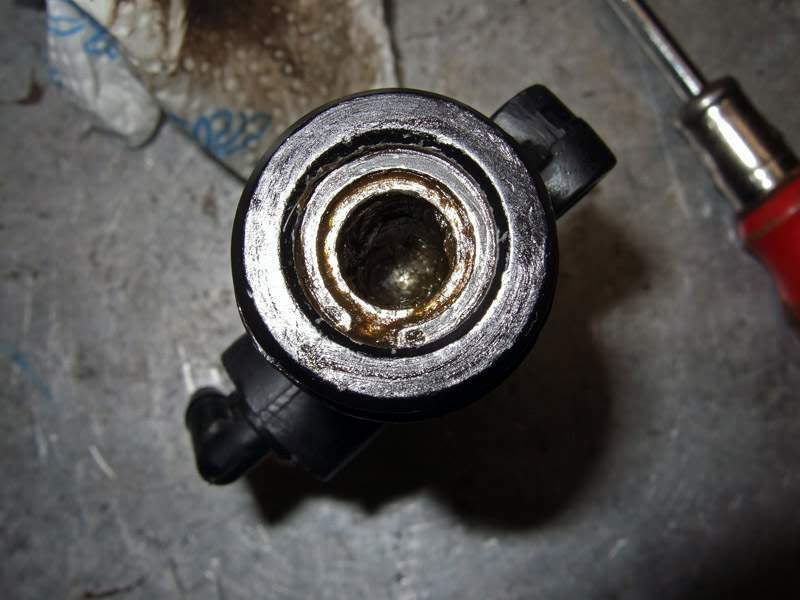 Spray some WD40 on the washer and use a thin stick (nothing sharp) to push the piston in and out until the washer comes loose. 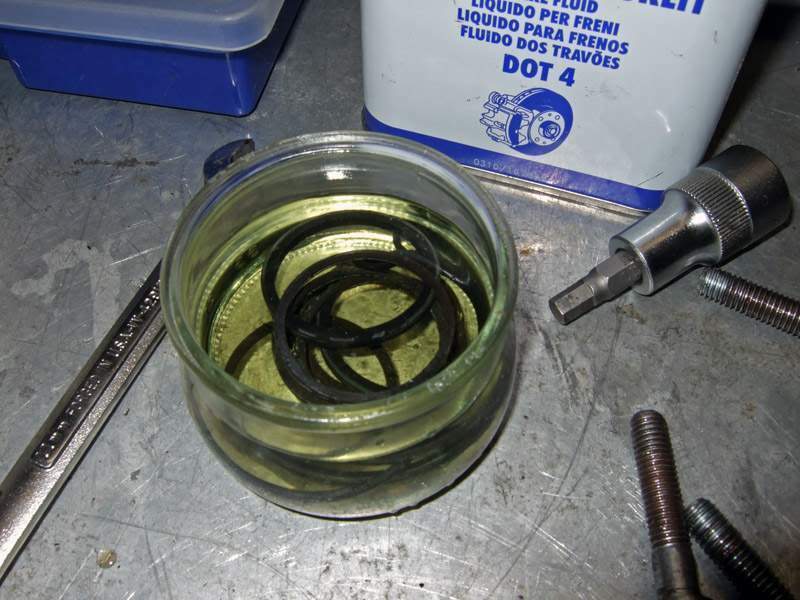 All parts were rinsed inside and out to avoid any damage by the brake fluid. 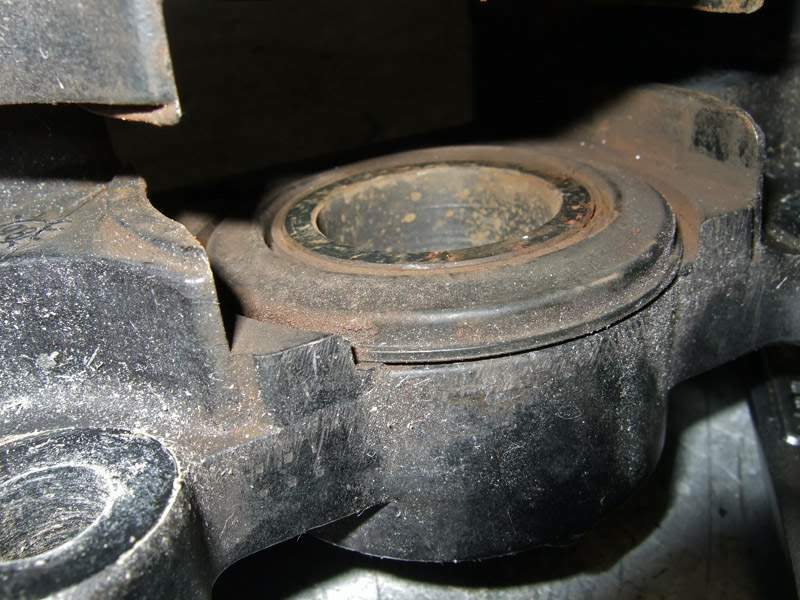 In general it is NOT necessary to do all this, specially if the brakes don`t leak. 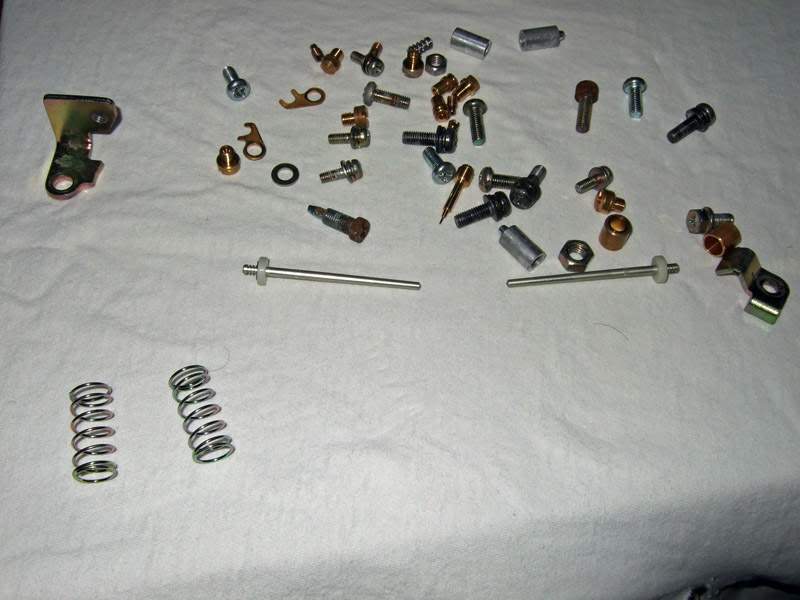 I did it with every single bit of the bike so it would`ve been inconsequent not to do the brakes, too. 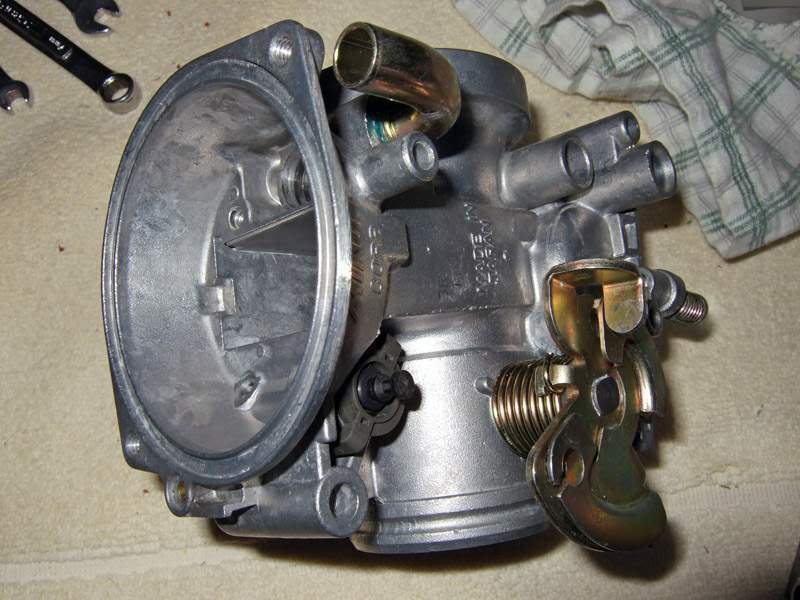 All internals of the calipers were clean just the brake pump (like most clutch and brake pumps) had some crystaline build up. 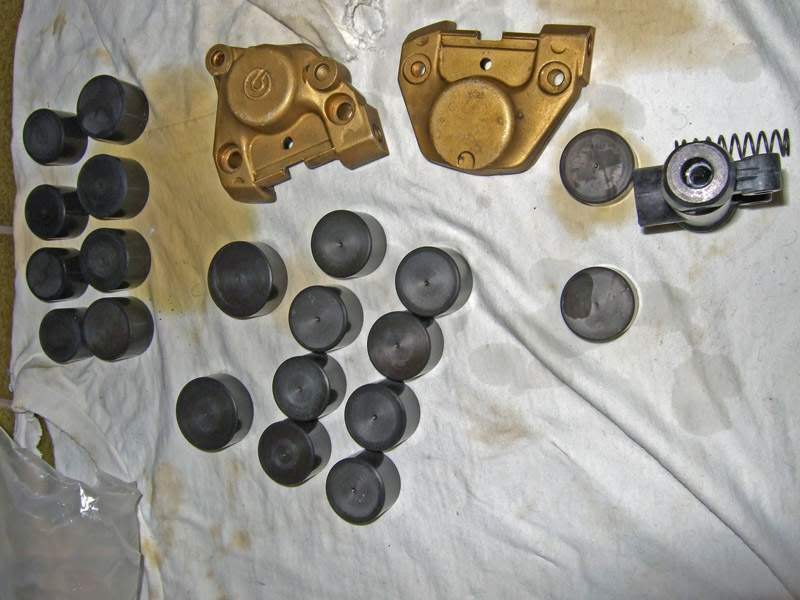 As no caliper leaked I`m reusing all the seals. 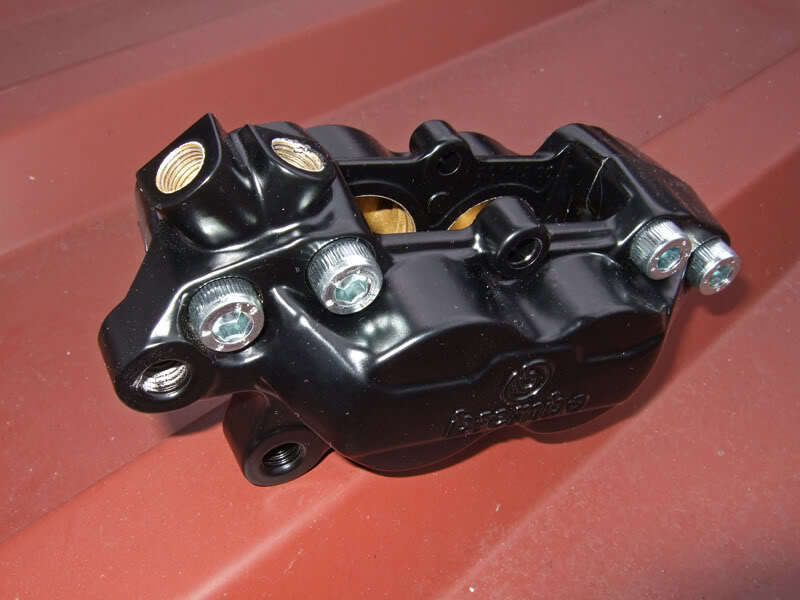 (Except to the rear - non Paso - black caliper which will need a total rebuild). 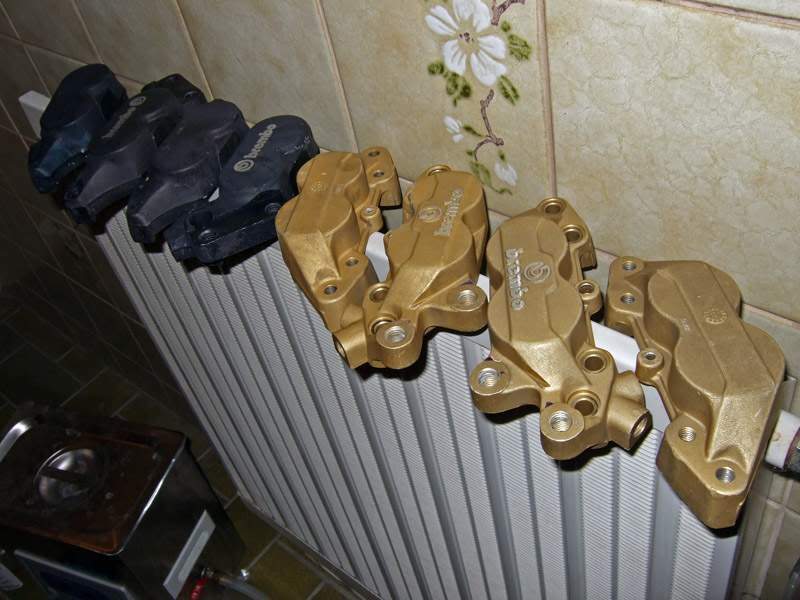 Also I split two sets of front calipers as I`m having them powdercoated from gold to black. I never liked my black rear with the newer golden front calipers. I wonder how they will look when finished. Just finished reading all this G.Nice job.Can't wait to see the end result. Last edited by Rhino on Sun Jul 14, 2013 10:35 am, edited 1 time in total. Rhino, would you still be interested if I told you I don`t have a complete and new original tool kit ? The old black Brembos were meanwhile sold and after a few weeks of waiting I finally got my calipers back from powder coating. They look so good, actually too good. 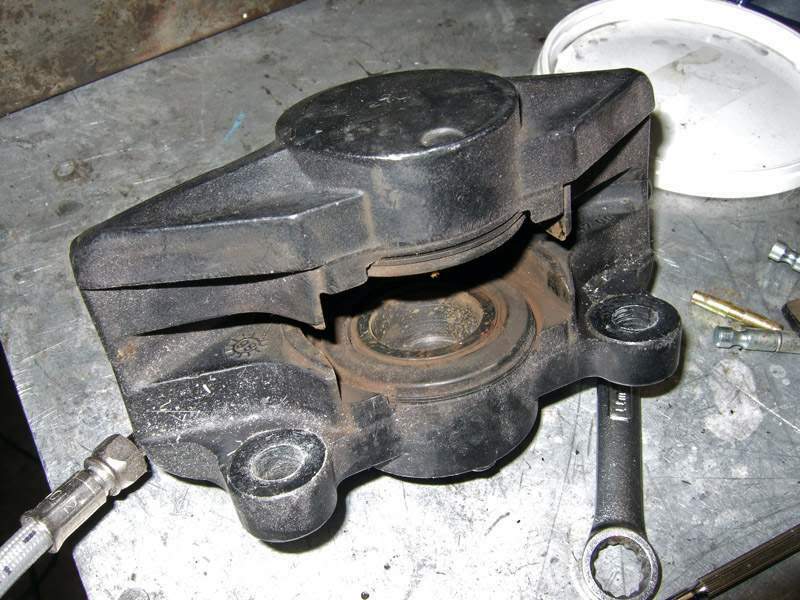 I will have to get the original rear caliper done, too now. 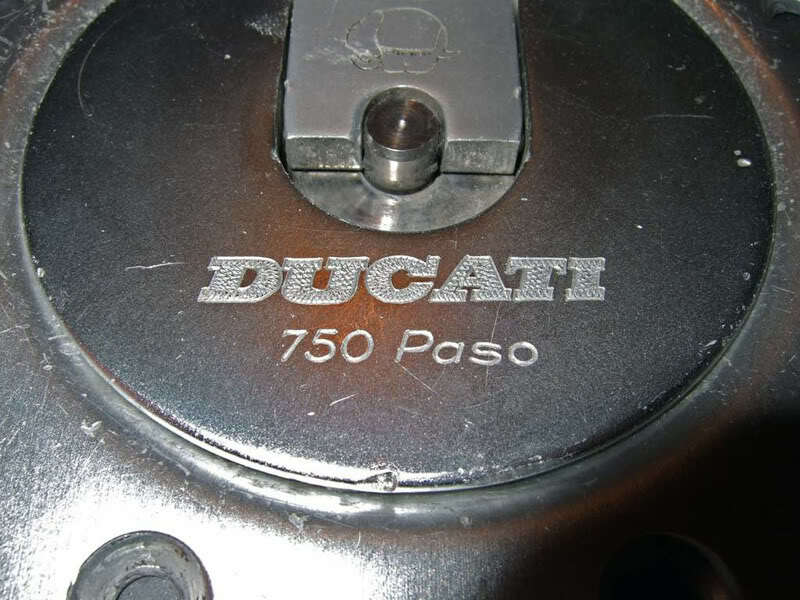 The good part, waiting for weeks did reduce the price quite a bit (and it was inexpensive from the start ) Unluckily I found a little oil spot under the Paso, wonder were that comes from, that`s new. Actually by accident this tank cap fell into my hands. A bit marked but a nice little detail. and this one I saw on ebay. 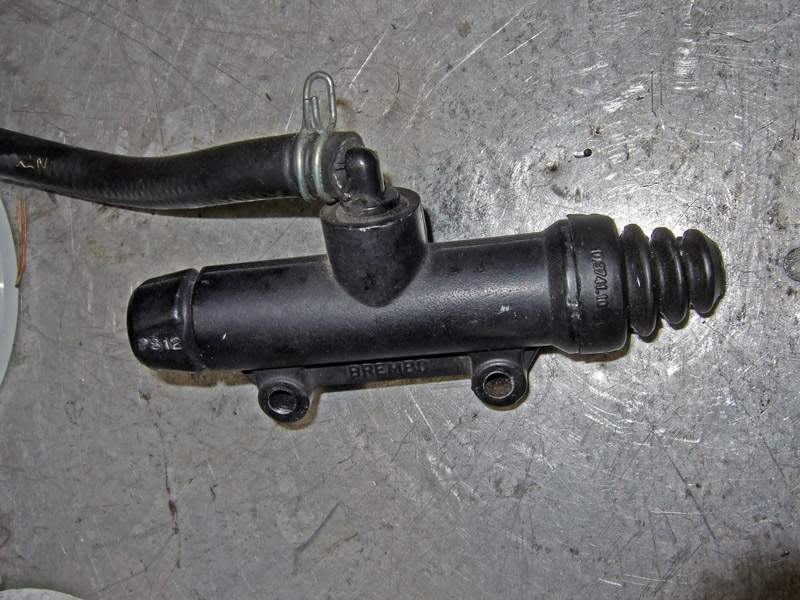 It has a bulge on the lower bottom, the fuel petcock has a lever and like the breather and return connections it`s in a completely different position. 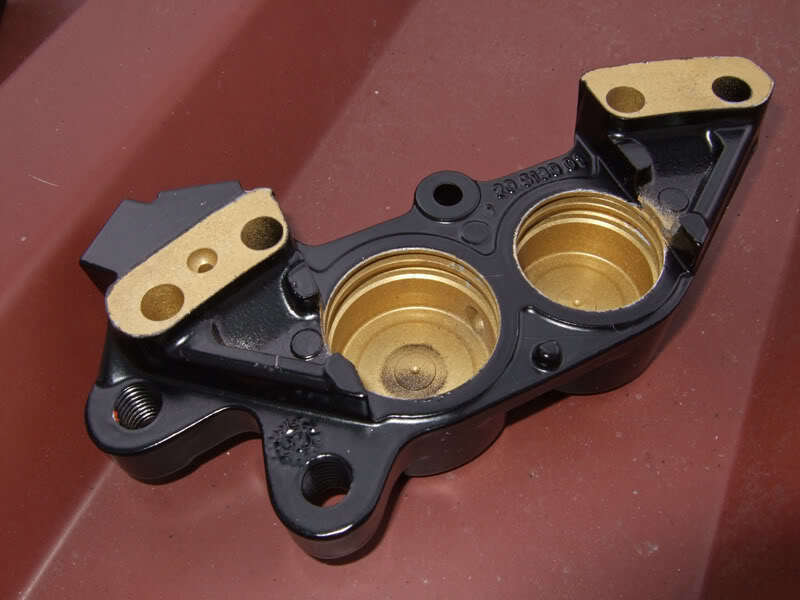 Even the area around the airbox and the lower/outer edge is shaped a differently. 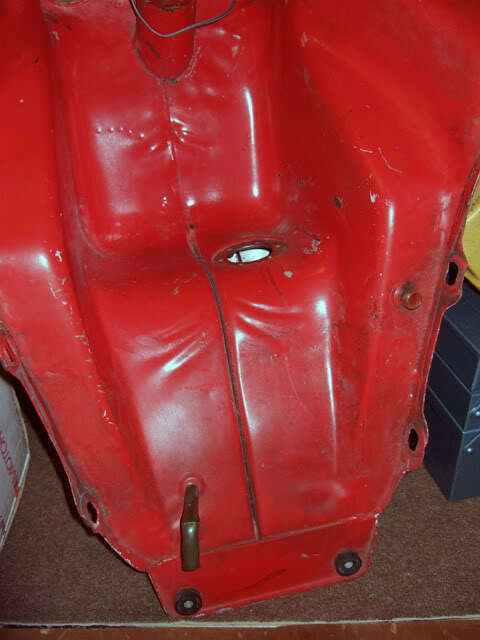 Mine is a very early tank, don`t know what model year this is from. The 906 tank that is on my bike looks just like my early P750 tank. 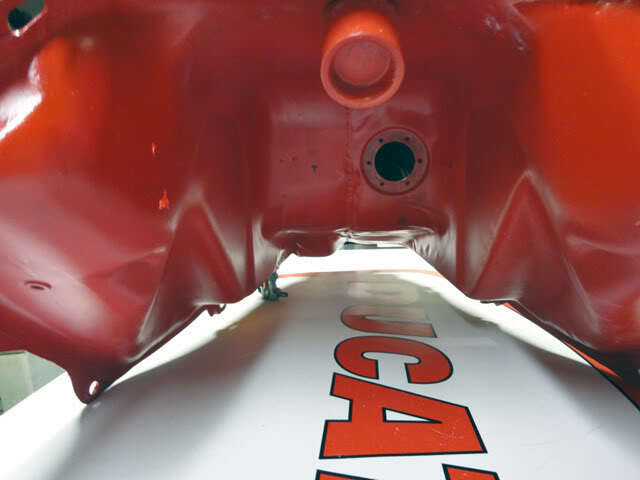 The 907ie tank will be different because of the different airbox, the fuel pump in the tank etc. 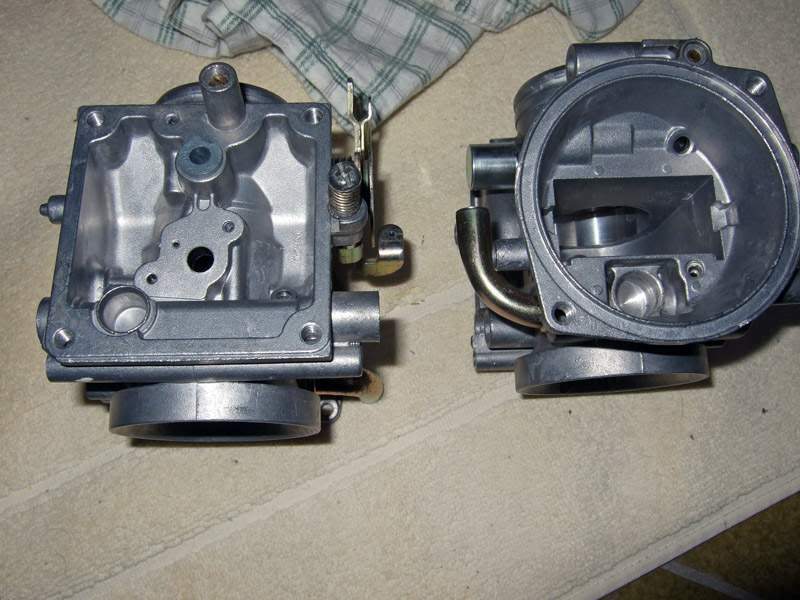 So wich one allows the bigger airbox? Maybe i should swap to a 750-Tank? ...uuuhmmm, it seems to me custom made. 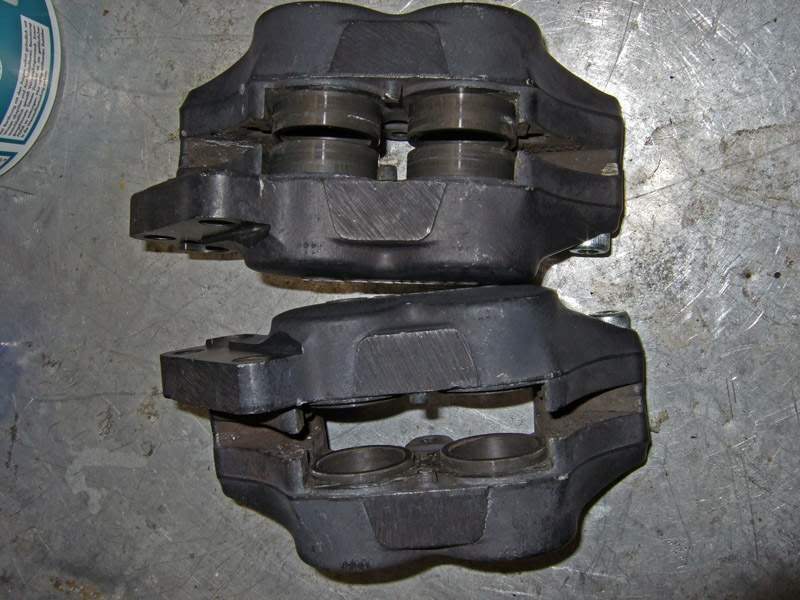 Hey G, I didn't realise at first, but looking at the pics of your brakes I see that you have 4 piston Brembos with the original disks (and the 6 piston Nissins). 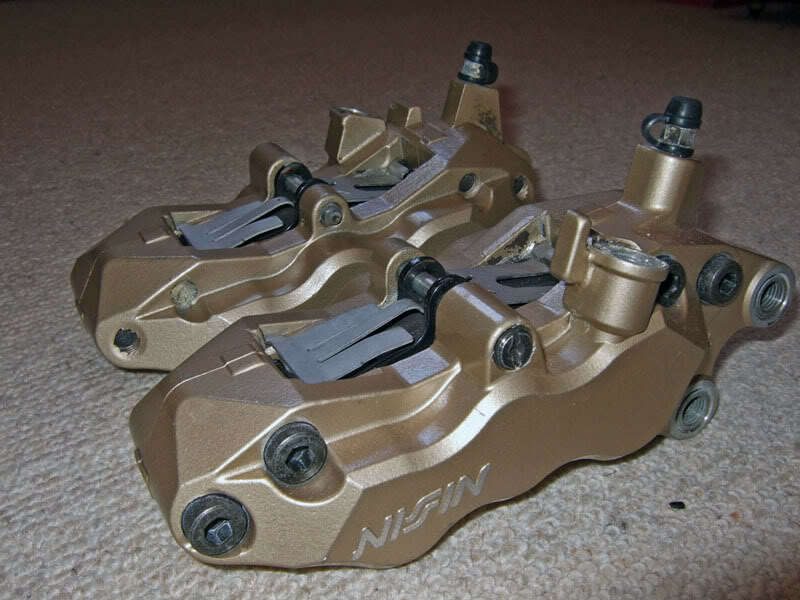 Am I right in assuming that they are 40mm calipers with an adapter to mount them on the fork leg? Any other modifications? What pads do you use? Winter is coming in this hemisphere so I'm planning to use the time to do some work on the Paso. I doubt whether I'll reach your level of commitment though. 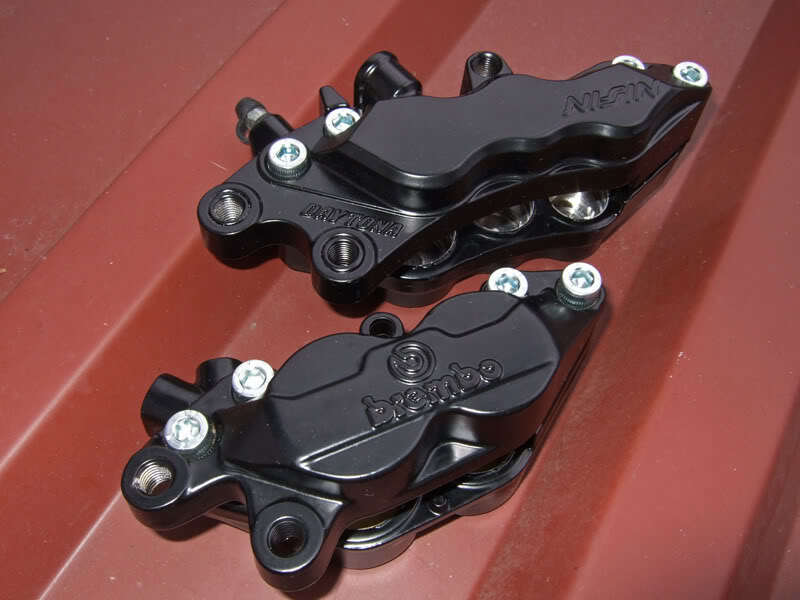 The 4 piston Brembo calipers (40mm mount) are original ones as used on the Supersport, 851/888 and numerous other bikes like Laverdas etc. 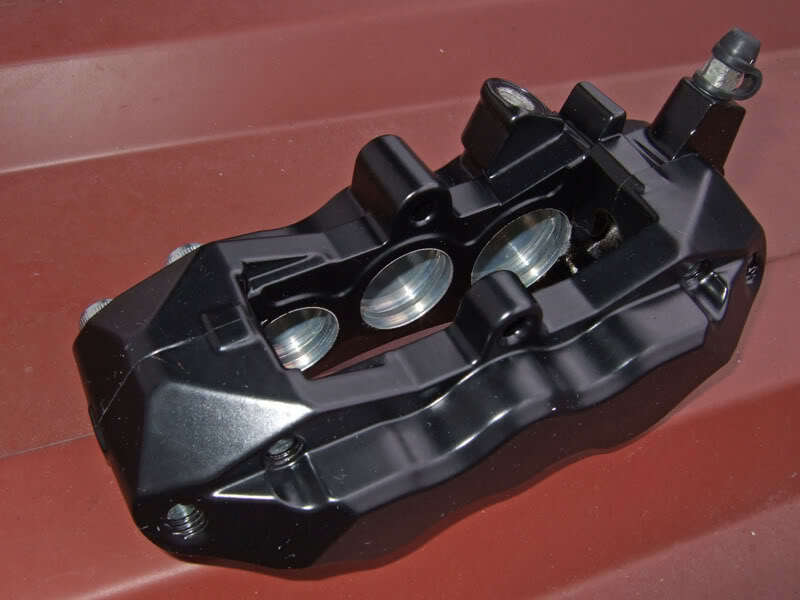 The adapters I have are from MotoQuality/Brembo and you find the drawings and CAD files in the FAQs. 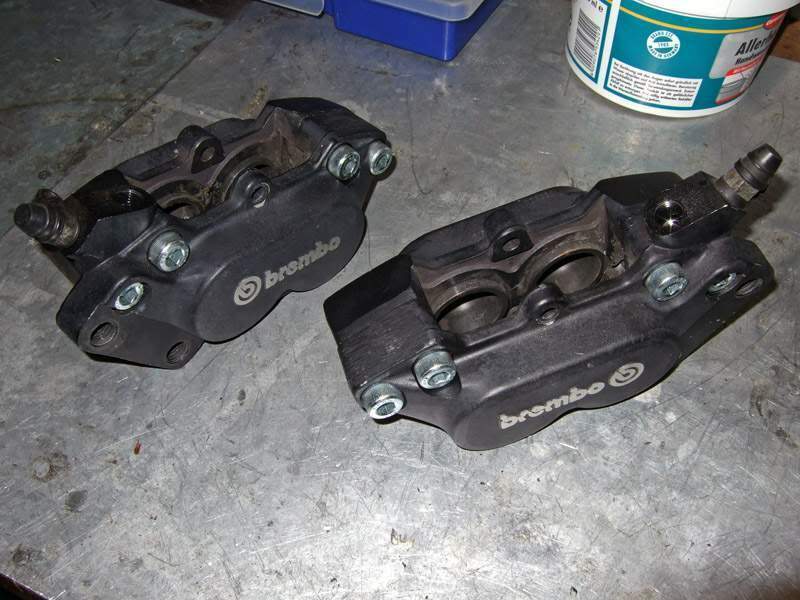 I got the calipers with good original Brembo pads and they worked very well. 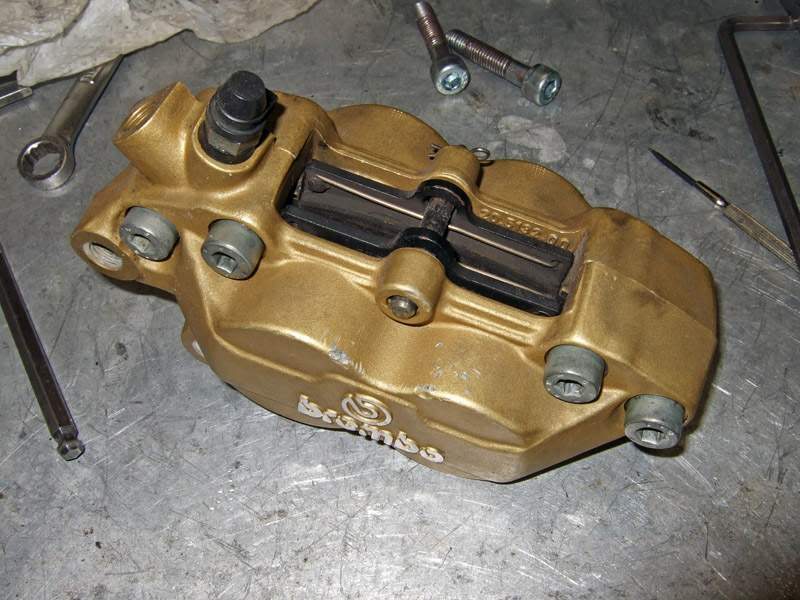 The only other change I did with the new brakes is swap the brake pump with a PS16 as this is recommended. This complete modification is an easy thing to do.